Published March 9, 2016 at 5760 × 2880 in chigwedere award 2015. Tola Ladejobi MPH ’09 (left) and Harvard Chan Acting Dean David Hunter (right) present the Emerging Public Health Professional Award to Pride Chigwedere (center). 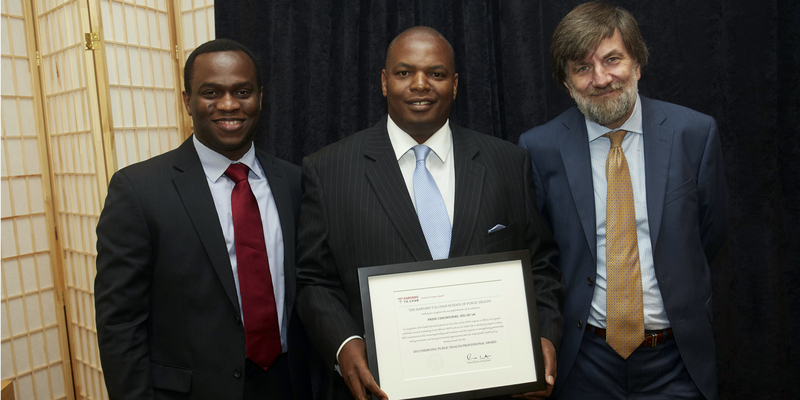 Harvard Chan Acting Dean David Hunter (right) present the Emerging Public Health Professional Award to Pride Chigwedere (center).